26.08.2014. The Economic Prosperity Initiative (EPI) organized a Coffee and Conversation session on wine tourism for media professionals from various TV and Radio stations, newspapers and news agencies on August 20. The representatives from the Wine Association, Sommelier Association, Incoming Tour Operators' Association and wine producing companies spoke about Georgian wine tourism sector opportunities. Head of the Marketing Department at the National Wine Agency of Georgia, Irakli Cholobargia, said that the development of wine tourism in the country will promote a lot of small local businesses. “For example, I know that some small home-type hotels decided to make their own wine in order to attract more people,” stated Cholobargia. EPI's initiatives in the wine tourism sector (promotional video, wine tourism portal and guide) were promoted among Georgian media representatives. The video has already been uploaded on the internet and serves as a commercial for wine tourism. The first Wine & Spirit Education (WSET) nominated educator trainer in the Region, Giorgi Dartsimelia, delivered a food and wine pairing master class. “Georgia has great potential to become dominant in the fields of wine tourism. The unique technique of pitcher wine is one of our trump cards. 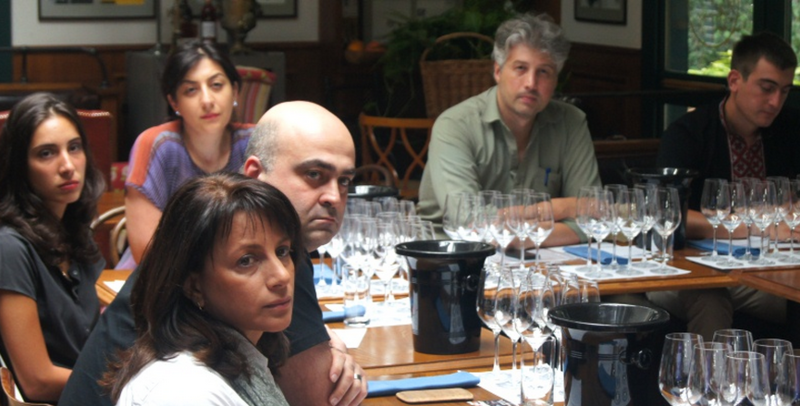 Georgian wine tourism also needs some good wine guides and the success in this field will be inevitable,” Dartsimelia stated. Marketing Communication & Event Production at Lopota Resort Nino Chechelashvili said that the wine tourism may become as the main tourism attraction in Georgia soon. “We decided to make our own thrift, because having our own marani (location for storing wine in special pitchers) will make our resort unique,” stated Chechelashvili. Public Awareness Manager at EPI, Tamar Kapianidze, said that the project will officially shut down in September.